« Pikkardiys’ka Tertsia LIVE in Edmonton! 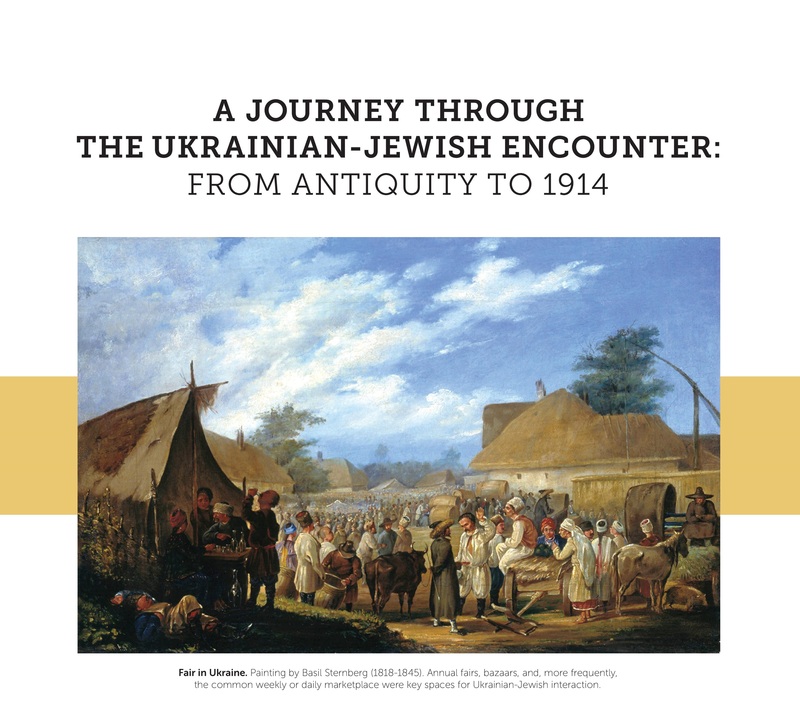 EDMONTON: St. John’s Institute, Ukrainian Jewish Encounter (UJE) and the Alberta Society for the Advancement of Ukrainian Studies (ASUAS) are pleased to present an exhibition entitled A Journey Through the Ukrainian-Jewish Encounter: From Antiquity to 1914. The opening reception for the exhibition will take place on Tuesday, August 4, 2015, 7:30 pm and it will be shown until Tuesday, August 18, 2015 at St. John’s Institute, 11024 – 82 Avenue, Edmonton. Created by UJE and co-funded by Citizenship and Immigration Canada, this multi-media exhibition offers an integrated narrative of the historical experience of these two historic peoples, side by side through periods of normalcy and crisis, shaped by cross-cultural influences, under diverse political regimes, over centuries. The blended story will be of particular interest for both Jewish and Ukrainian audiences, but also for a wider Canadian public. The territory of modern-day Ukraine has been for many centuries the homeland of diverse and flourishing cultures, including one the most populous Jewish communities in Europe, whose presence on Ukrainian lands began about 2,000 years ago. A segment of the exhibition focuses on the origins and remarkable growth of Hasidism on the territory of Ukraine, and two parallel displays treat the challenging transformations experienced by these two stateless peoples in the course of the “long nineteenth century” (1772-1914) – in the Russian Empire and under Austro-Hungarian rule. This exhibition is presented in the belief that these two peoples have much to gain by appreciating their common historical experience in all its complexities – that despite periods of crisis and intermittent violence, Ukrainians and Jews have lived side-by-side for centuries creating and sharing enduring cultures that continue to inform their identities today. This travelling exhibition was well received by Ukrainian and Jewish visitors at community and cultural centres in Toronto and Winnipeg in May/June. After Edmonton it will travel to Montreal, where it will be shown at two venues, September 1-11. Plans are under way for the exhibition to travel to cities in the United States, Ukraine, and Israel n 2016. The Ukrainian Jewish Encounter (UJE) is a privately organized multinational initiative launched in 2008 as a collaborative project involving participants from Ukraine and Israel, as well as from the diaspora communities. Its work engages scholars, civic leaders, artists, governments and the broader public in an effort to promote deeper mutual comprehension and solidarity between the two peoples.